With one dissenting justice calling the situation a “travesty,” the state Supreme Court on Monday tossed out a challenge to Gov. Rick Scott’s authority to appoint a replacement for a retiring Northeast Florida circuit judge. The Supreme Court, in a 4-3 decision, said it would not rule on the case --- effectively keeping in place a lower-court ruling that backed Scott’s authority. The Supreme Court indicated in August that it would rule in the case and heard oral arguments in October. But in a one-page order Monday, the majority said it was dismissing the case and that the earlier decision to hear it had been “improvidently granted.” The majority was made up of Chief Justice Charles Canady and justices Ricky Polston, Jorge Labarga and Alan Lawson. The case centered on whether Scott --- or voters --- should pick a replacement for 4th Judicial Circuit Judge Robert Foster, who was originally slated to leave office Jan. 7, 2019, which would have been the end of his term because of a mandatory retirement age. But on April 2, Foster sent a letter to Scott making the resignation effective Dec. 31, four business days ahead of schedule. The Scott administration argued that the governor’s acceptance of a judicial resignation before the start of an election-qualifying period created a vacancy that should be filled by appointment, rather than election. If Foster retired on Jan. 7, the post would be filled by election. Jacksonville attorney David Trotti, who wanted to run for the seat, filed a lawsuit challenging Scott’s authority to appoint a replacement for Foster. The 1st District Court of Appeal sided with Scott, leading Trotti to take the dispute to the Supreme Court. “Surely when the people determined that they would prefer to elect certain judges, they did not intend for that desire to be circumvented by artificial vacancies,” Quince wrote. But during oral arguments in October, Daniel Nordby, general counsel for Scott, called it “long-settled law” that a judicial vacancy occurs at the time a resignation letter is submitted to the governor and accepted --- not at the time the judge leaves office. Amid the legal fight, Scott announced that he planned to appoint Duval County Judge Lester Bass to replace Foster. He quickly followed up Monday by making the appointment. 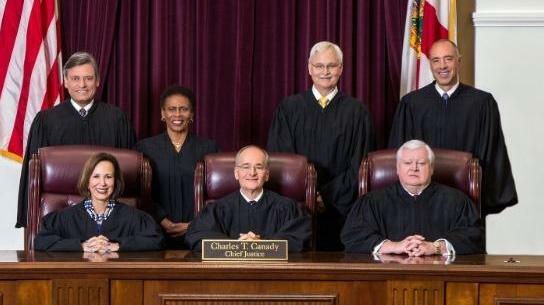 The 4th Judicial Circuit is made up of Duval, Clay and Nassau counties. As Floridians wait in suspense for Tuesday night’s election results, a group of nine men and women, appointed by Gov. 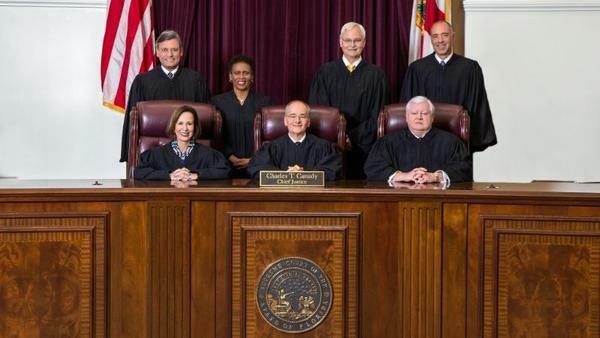 Rick Scott, worked through the weekend to decide the state’s next three Supreme Court justices.